Do you struggle to find the right Christmas gift for your loved one? We know it can be a little tricky, especially if your unsure what she may like, or how much to spend or finding the time to go out looking for the right present for that special person? We want to make it as smooth as possible, so the director Emily, has created a gift guide list with the styles she loves most! New for Christmas, we are offering exclusive gift sets in a range of decedent jewel colourways from the A/W 18 Collection, at discounted prices. These beautifully packaged boxes make the perfect gifts for a loved one, or an indulgent treat for ones self…. Our stylish gift wrapping is always included at no extra costs - an elegant box and delicate tissue paper to protect your purchases. 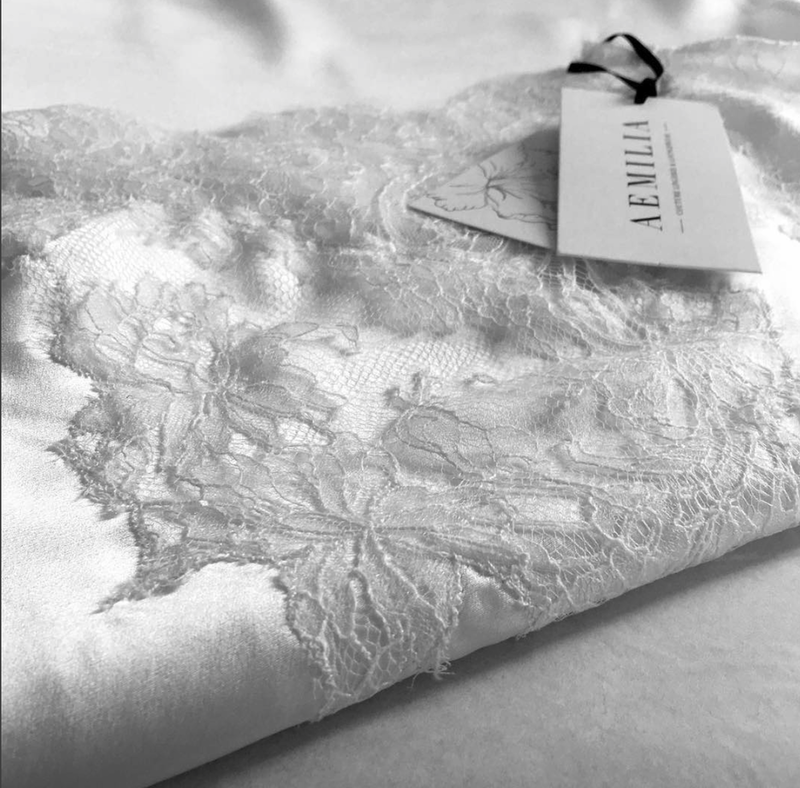 Each item of ladies lingerie, sleepwear, nightwear & robes ordered are delicately hand pressed & checked before being beautifully packaged in one of our Aemilia branded signature boxes with acid free white tissue paper & placed into the bespoke box. Each package will contain a look book for that season so you will be able to view in your own leisure other garments within the collection.Finished with a luxurious bow. *Please note that, for any orders shipping outside of the UK, a list of contents is enclosed on the parcel for customs purposes, in order to make processing easier and faster. For a more detailed shopping guide for gentlemen please follow this link! Sign up with your email address to receive news , updates and exclusive offers! The new collection is be available from our online boutique www.aemiliacouture.com and Wolf and Badger, Soho New York, and Nottingham Hill London stores. The above sets are only available online. WHAT OUTFIT DO I WEAR ON THE MORNING OF MY WEDDING?